My mix & match tip is to choose a silver, gold, emerald or multicolor one and pair it with a comfy oversized sweater. As this is a bold item itself, keep it simple by wearing a calm shade of sweater: grey, white, beige or black one; but if you want a bold holiday statement, pair a gold sequin skirt with a red sweater. Black tights will contrast with your colorful skirt and make your legs look thinner. I had a tough time, though, deciding between the classic grey and lurex green sweater. I figured the grey would match the color of the skirt and unify the whole look, but then I tried on the green one and realized that they brought out the color ofÂ the sequins much better. 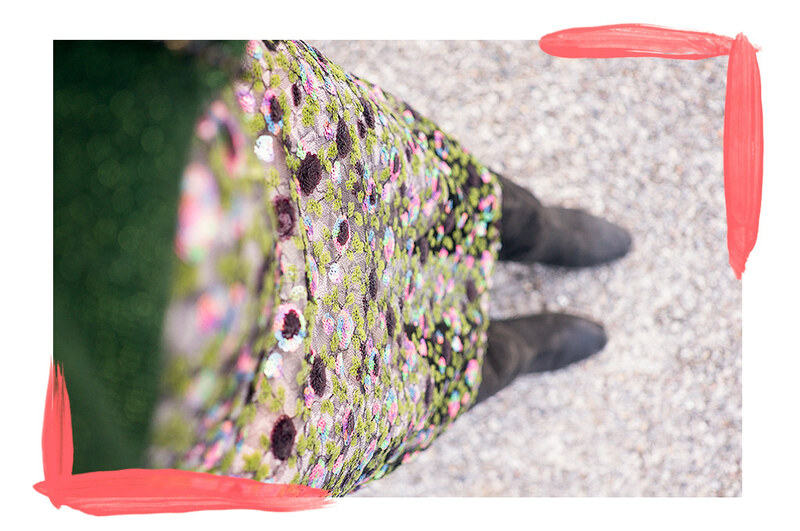 Why not playing around a little bit withÂ this colorful skirt?! Â What do you guys think?